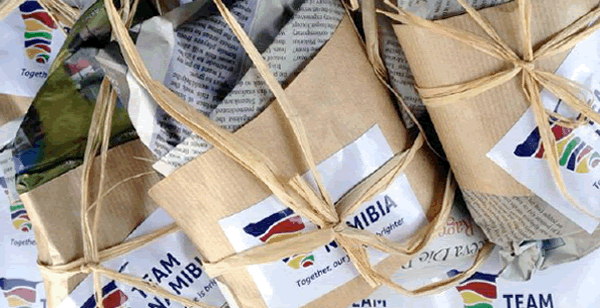 Namdeb continues to play a significant role in our economy and contributes 7% towards Namibia’s GDP. The mine is now in its twilight years as a result of innovation and hard work by its stakeholders and employees. 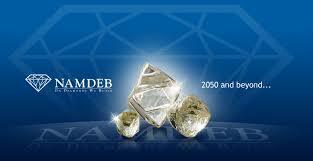 Namdeb celebrates 20years of mining and exploration in the Diamond Industry. The mine’s life has drastically increased to 2031 with high potential to go as far as 2050. 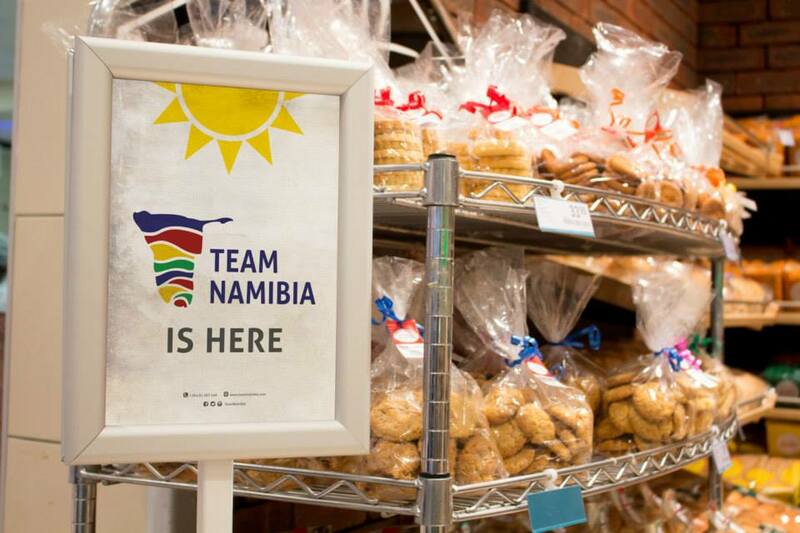 TEAM NAMIBIA has developed a generic point-of-purchase merchandising campaign; aimed at creating a sustainable competitive advantage for Namibian products at point of purchase, this festive season. 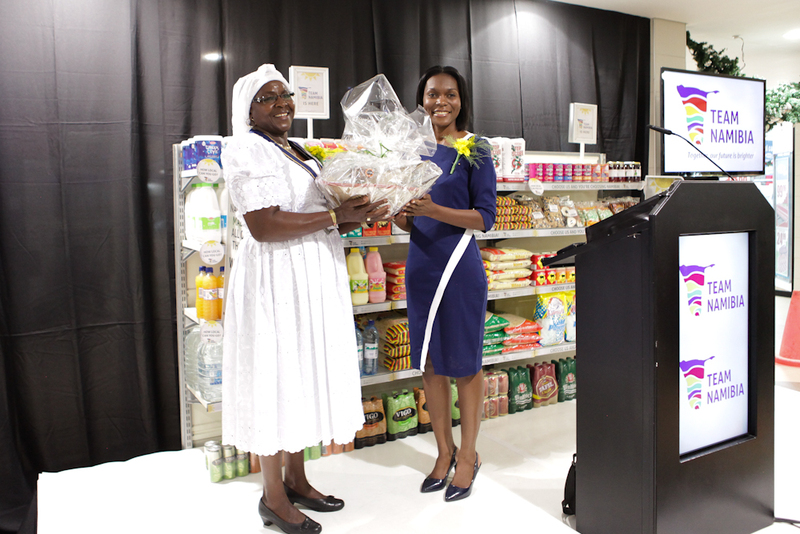 The National Retail Merchandising Campaign is aligned to the Ministry of Trade and Industry's "Growth at Home Strategy" which strives to boost productive capacities through industrialization/manufacturing. 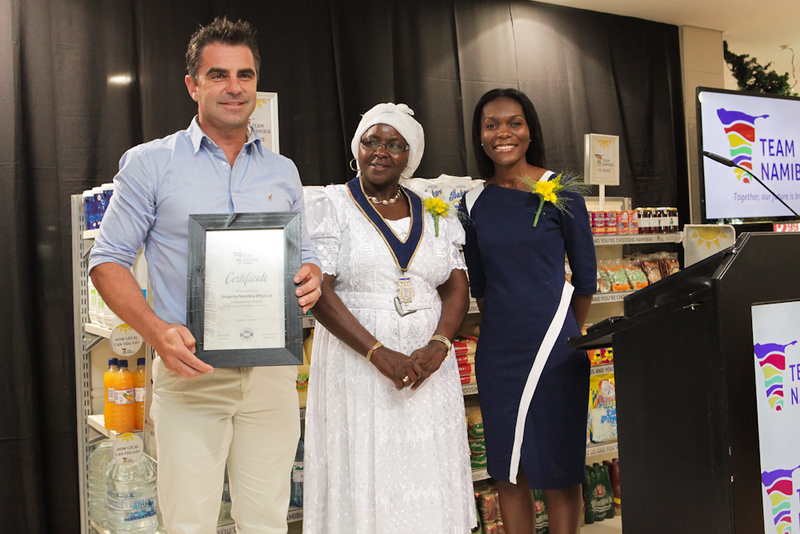 The Namibian Retail Charter, spearheaded by the Namibia Trade Forum, seeks to increase market access by creating conducive environment for increased local sourcing and ultimately transform Namibia’s retail sector. 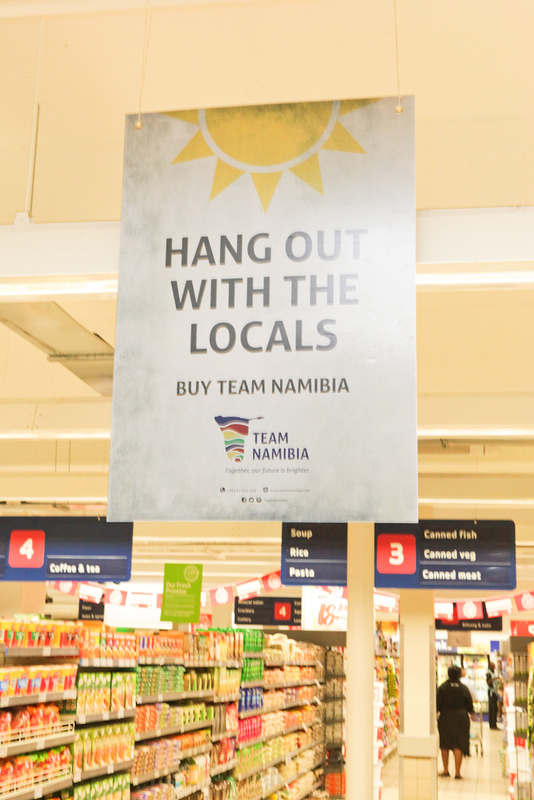 Team Namibia believes the merchandising displays will increase consumer awareness at point of purchase and will inspire pride, preference and ultimately purchase of the local option. 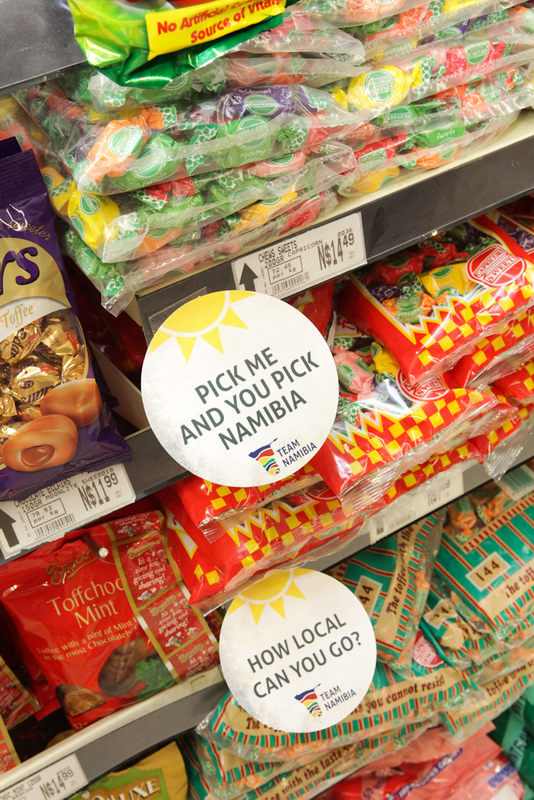 The campaign has been launched as a pilot in 11 retail outlets across the country, including retailers such as Engen Forecourts; Pick n Pay, Shoprite and Checkers, Spar Oshakati as well as local shebeens. 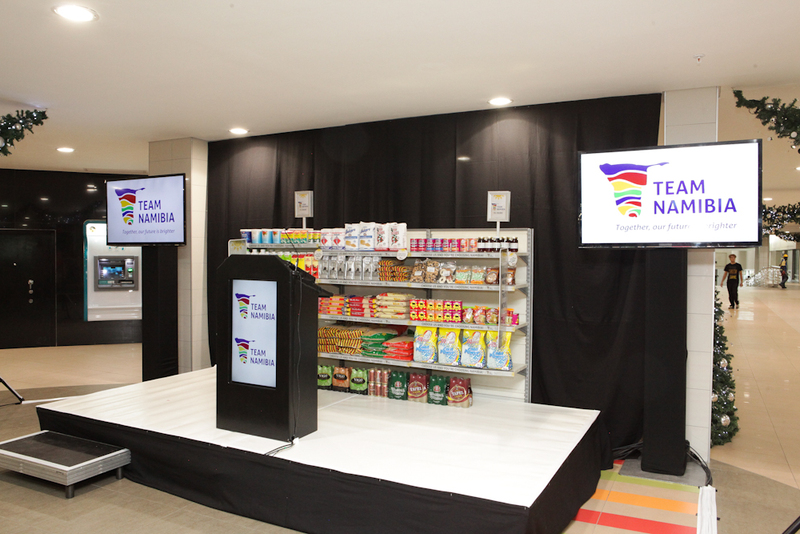 The retail launch also saw the unveiling of Team Namibia’s online Member Directory available via the Team Namibia Website:www.teamnamibia.com. 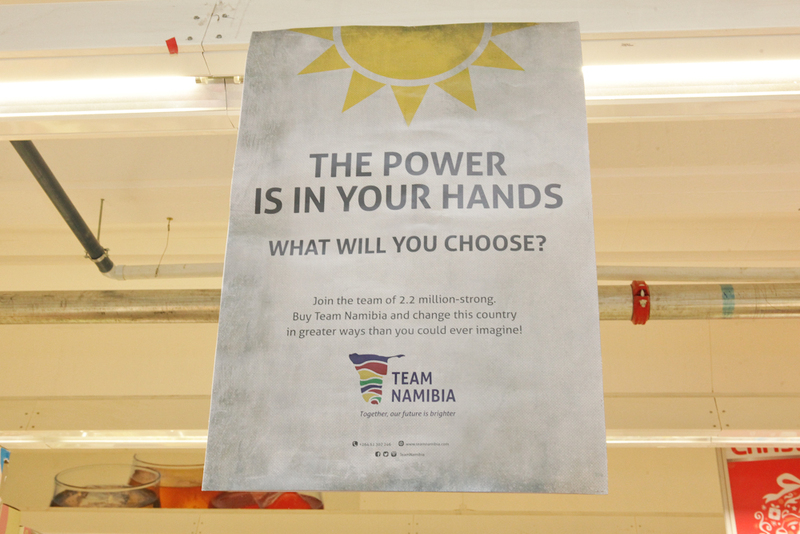 This Directory provides a central data repository of all Team Namibia member organisations. The included Image Bank provides retailers and their respective advertising agencies high quality ‘Team Namibia Product’ pack shot photography, available for download and use in advertising. The image bank also provides detailed product specifications. This is a powerful tool to enhance local sourcing for procurement, identifying local options for production inputs and also as an export promotion and information tool. 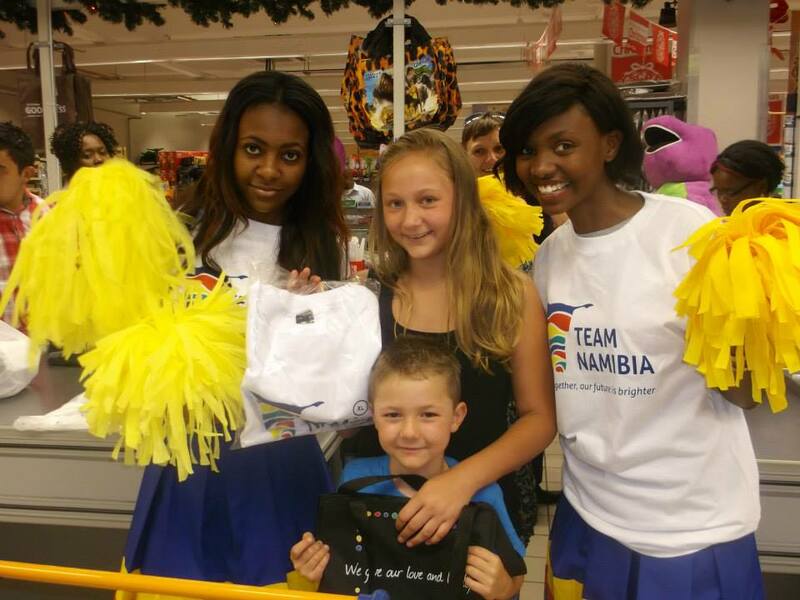 In partnership with local graphic designers, Team Namibia has produced the first of its kind, truly Namibian Shopper Bag. Local graphic designers Teddy Mmasi, Nelet Loubser, Franklin Angermunda and Shawn van Eedent contributed the winning designs. It is our hope that the bags will resonate with publics and create a “movement” for local shopping! 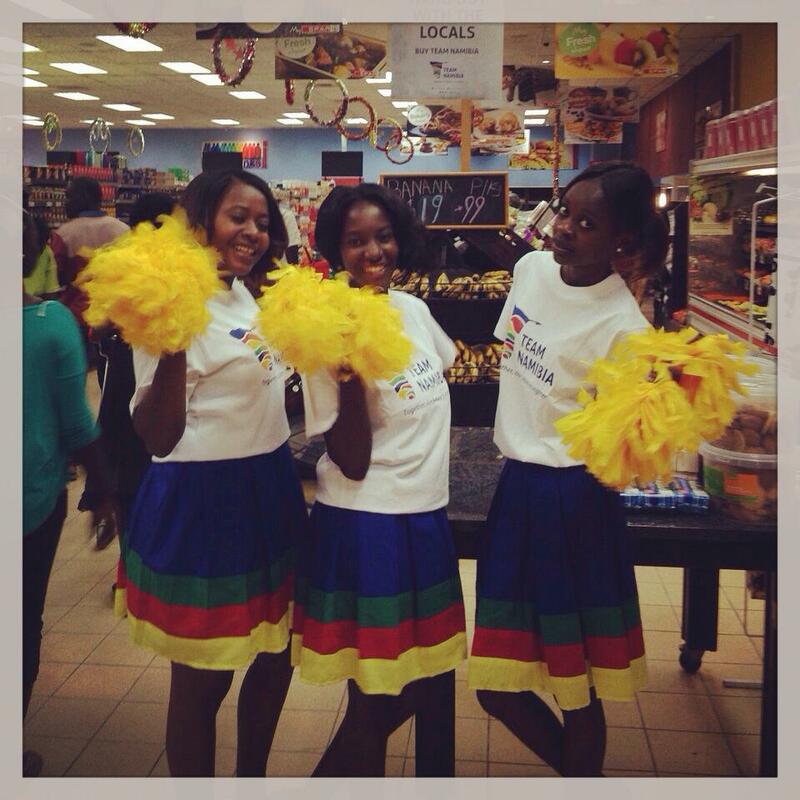 The bags are available at any of the participating retail outlets free of charge. 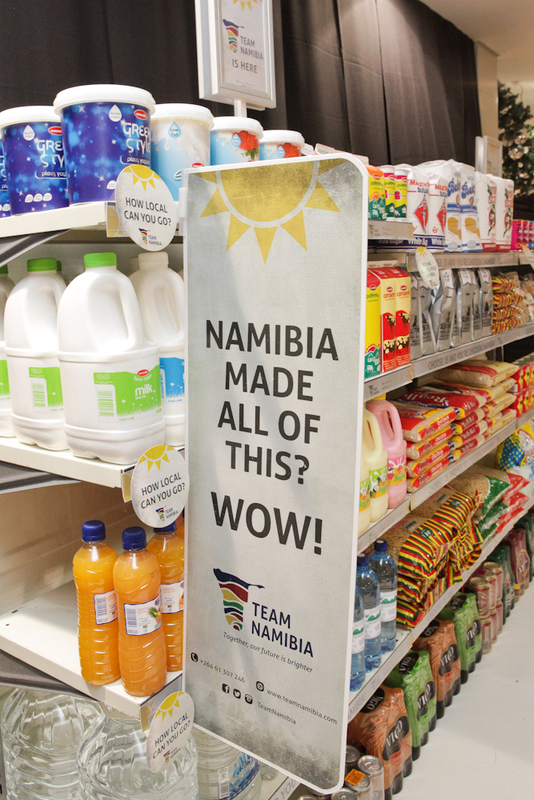 The retail campaign coincides with the festive season and Team Namibia hopes to secure a larger percentage of the shopping basket for Namibian products this festive season. Consumers will be rewarded through this unique social media awareness campaign. 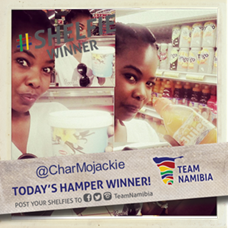 15 Team Namibia Hampers will be given away to 15 daily winners, over a promotional period of 09 December to 24 December 2014. 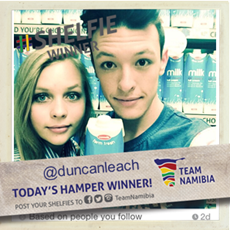 If you have not yet done so, go instore and share your #shelfie with us! Jacqui as many of you have come to affectionately know her, has been a friendly, efficient and dependable support to the Secretariat and its members. 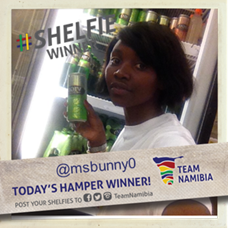 A true Proudly Namibian Ambassador, she has been instrumental to the organisations growth, since joining the Team in March 2013. Sadly we bid her farewell this December, yet wish her success as she furthers her studies. We wish her great success in her career and academic endeavours. 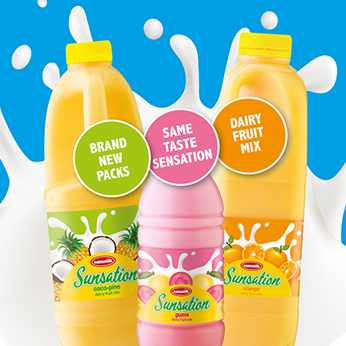 Lookout for the latest Team Namibia Product – Nammilk Sunsation dairy mix; which proudly carries the Team Namibia seal of endorsement on its newly designed packaging label. I believe we are closing 2014 on better ground, satisfied with the developments and achievements we have managed to realize this year, through our collective effort. We look forward to closer collaboration and consultation in the New Year, to yield a greater impact. On behalf of the Board and staff, we thank you sincerely for your continued support and commitment and wish you a restful, joyous, safe festive season and a productive, prosperous 2015. The Secretariat will be closed from Friday 19 December 2014 to Thurs 08 January 2015.